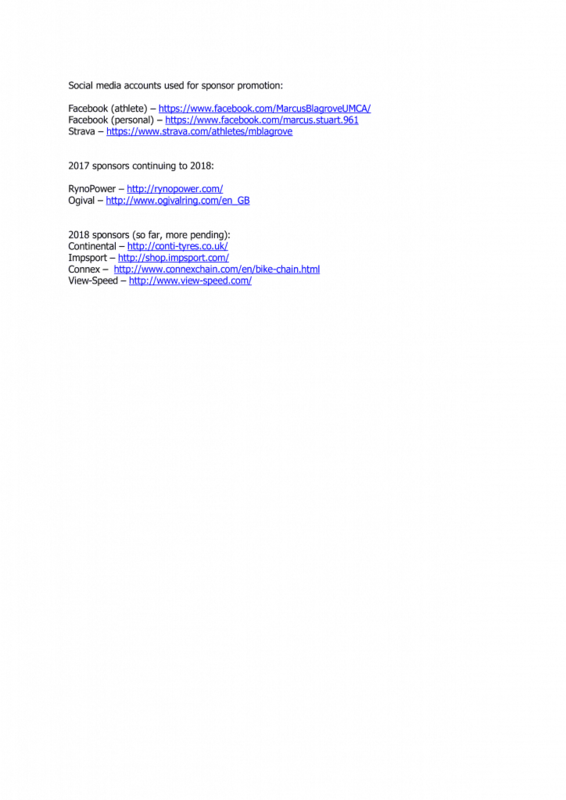 Vertebrae Components » How to write a sponsorship letter to a bicycle product manufacturer for professional cycling equipment. How to write a sponsorship letter to a bicycle product manufacturer for professional cycling equipment. We recently received this sponsorship request. 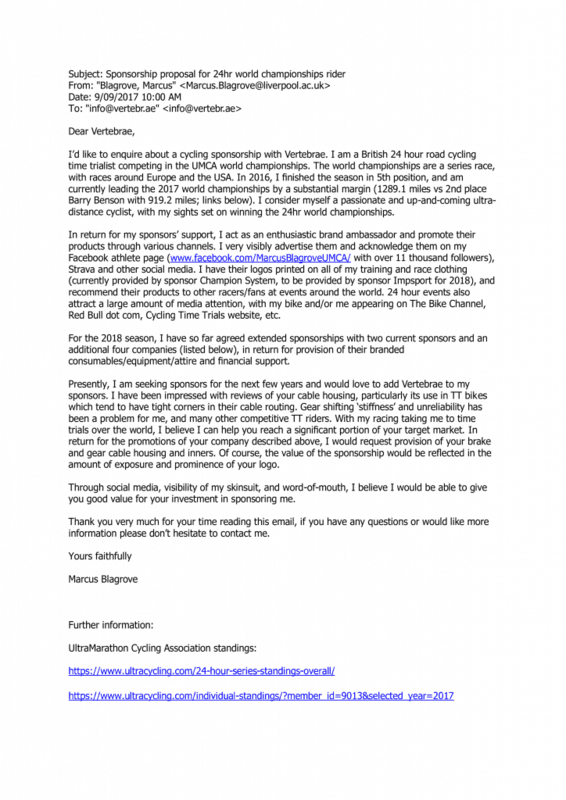 Since it covered what we were looking for when we sponsor riders, we’d thought we’d share it as a good example of “how to write a sponsorship application letter”. the rider presents an obvious “mutually benefical” scenario which we almost can’t ignore. First the rider gets straight to the point about what they want (our time is precious). They give some relevant background info and pertinent recent race results. Next they write about how they can help us with exposure (that is all we are really looking for, and to provide you with the world’s best cables in return for that). They have listed all of their social media accounts. They have also listed other sponsors who are already on board. We do consider other types of races. We’re particularly interested in mass-start road races (either male or female). Vertebrae cable housing has many advantages which suit all race disciplines. If you’d like to be sponsored, or you know someone that could benefit from this opportunity, please get in touch with us.